Our cosmetic dentist—Dr. Ann Haggard—offers Invisalign® Teen a version of the traditional Invisalign® clear aligners that is designed for younger patients, typically those in adolescence who need effective teeth-straightening treatment but would like to avoid the hassles and self-consciousness associated with metal or plastic braces. Invisalign® Teen uses the same technology as adult version of Invisalign®, while being unique to a teenager’s dental needs and lifestyles. Invisalign® Teen allows younger teenage patients to straighten their teeth with clear aligners that can be removed while eating, drinking, brushing, and while participating in such activities as sports and music. With Invisalign® Teen, there are none of the traditional problems with metal braces such as broken wires or brackets, and patients can have better overall dental hygiene with the ability to brush and floss more effectively. 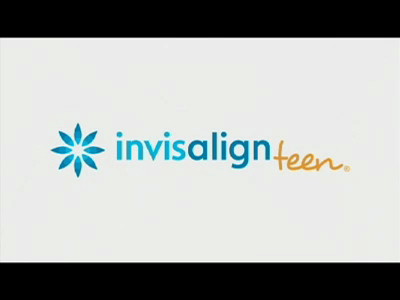 Click on thumbnails below to watch our videos on Invisalign Teen. Up to now, one of the issues with Invisalign® placement in younger patients that concerned many orthodontists was that of simple compliance in wearing the aligners on a regular basis. With today’s active teenager, it may be easier to lose the aligners or forget to put them back in place once they’ve been taken out. With Invisalign® Teen, you get six free replacement aligners in the event that an aligner becomes lost or damaged. Plus, compliance indicators on each set of aligners fade from dark to light blue over the two-week wear period – giving doctors, patients, and parents a visual monitor that the aligners are being used as directed. Invisalign® Teen is also designed to compensate for the possibility of new permanent teeth coming in during treatment. The aligners can be made with “eruption tabs,” giving doctors the ability to prescribe the necessary space to accommodate for second molars and other teeth that may arrive while being treated. And for teenagers, the best part of Invisalign® Teen may be the confidence that comes with knowing they can have straighter teeth and a brighter smile with a treatment that’s virtually invisible!